It's been hot out here. We just broke the record for most consecutive three digit temperatures, it was set in 1925 I believe. Not exactly a "We're #1" cheering kinda moment but I noteworthy none-the-less. As the days of summer drag on, it really gets harder and harder to contemplate making lunch. There's all the driving around to buy food, and then cooking and rushing around, something about this heat just saps your energy. 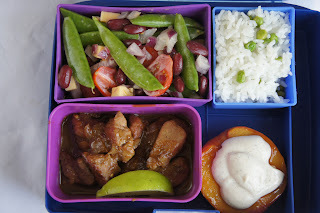 I pushed through and decided that a simple bento around the tastes of summer would be a nice theme. 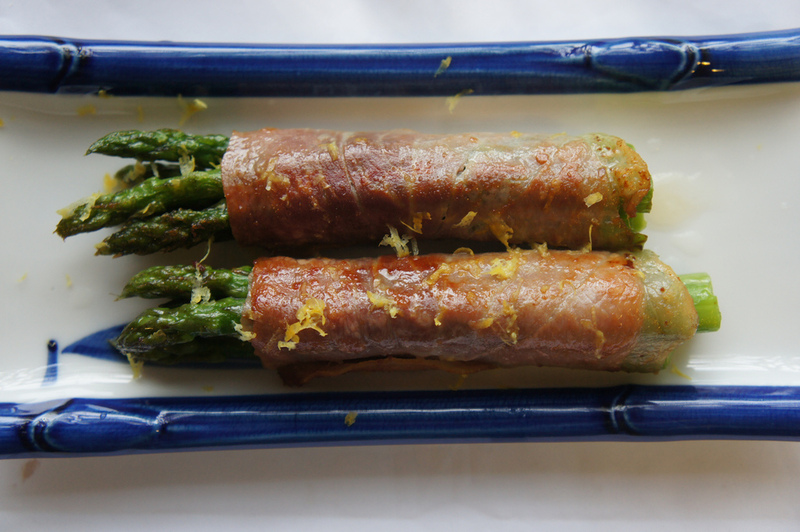 I tried to stick with things that were light and vegetables that tended to be in season. 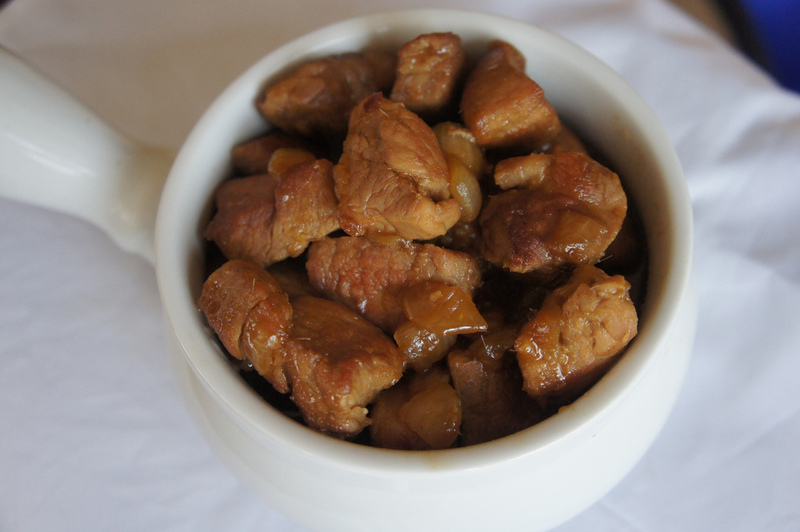 We start things off with the Asian caramel pork. I simply cubed up a bunch of pork tenderloin browned it up and made a nice sauce with some soy and brown sugar. After cooking the pork and onions I simmered the pork in the sauce until thick. This dish definitely needs some sort of accompaniment because I think by itself the sauce makes it too sweet. If eaten by itself the pork (sans sauce) was just right in that it picked up a ton of flavor from the sauce during it's braising time and still remained tender. This would have actually been great with a traditional steamed bun. Whenever I think summer foods, I think of fresh vegetables, salads, vibrant colors and flavors. 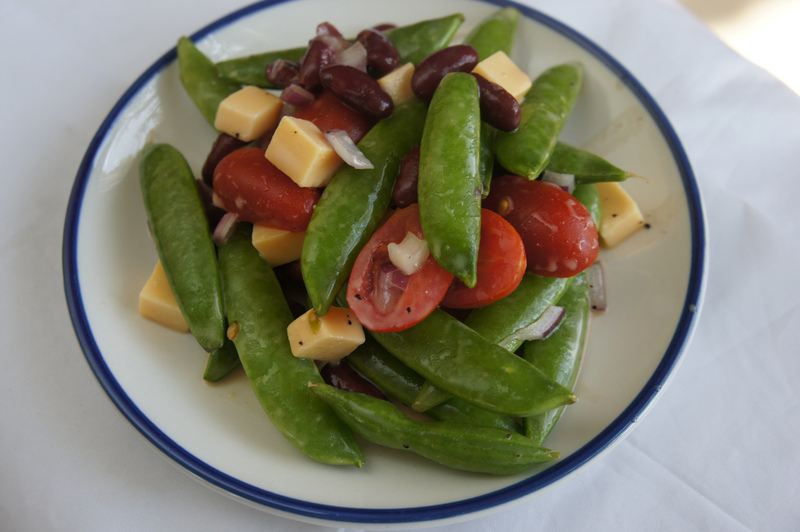 This Sugar Snap Pea salad is exactly that, the snap peas provide a nice interesting crunch texture and the vinaigrette is a nice burst of flavor. 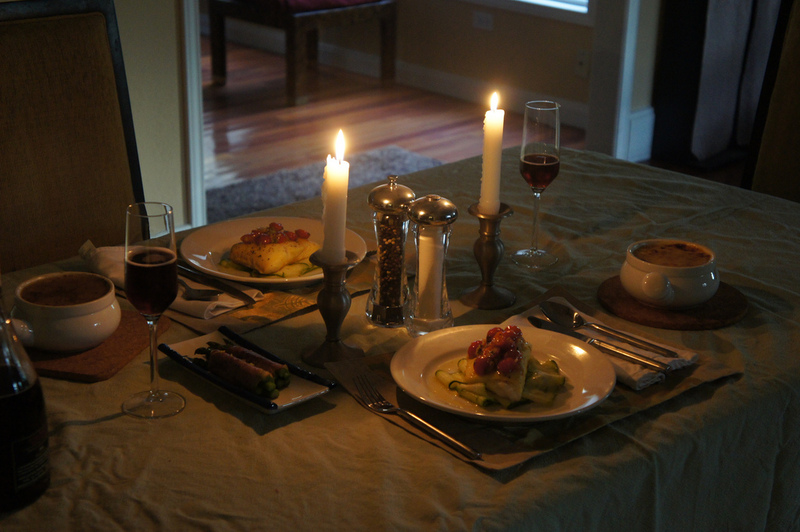 This dish produced a mix reaction and it mostly centered around whether or not folks like snap peas. Kinda like carrots some people don't like the raw snap pea. (too much crunch? too "raw" a flavor?). I liked the use of gouda in this recipe, it adds a bit of salt to the salad and combined with the slightly sweet vegetables balances out the acid in the dressing. The pork was accompanied by a simple green peas with rice. The short grain rice was dressed with a little bit of rice wine vinegar, kinda like you would with sushi rice for making rolls. When combined with the pork it helped pull down the relatively sweet sauce in the pork dish. 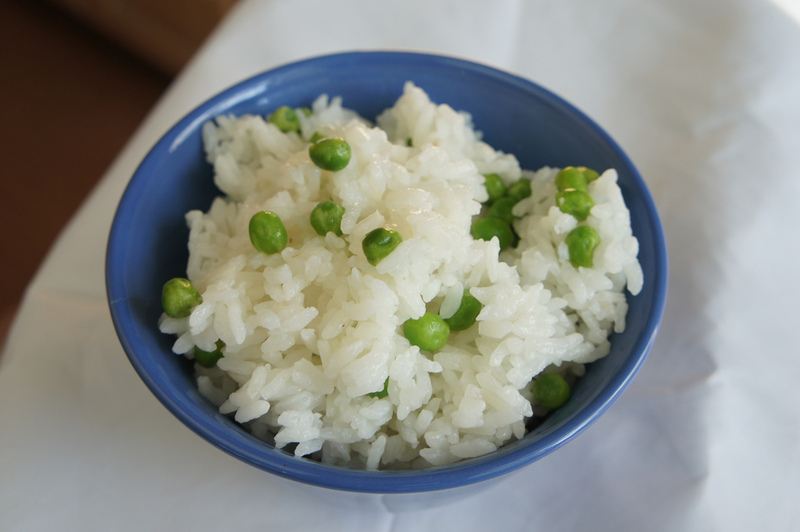 It's a great super easy side, I made use of frozen green peas and my rice cooker did all of the work. Summer is definitely peach season, just going to the farmers market you see a lot of stalls featuring Texas Peaches. 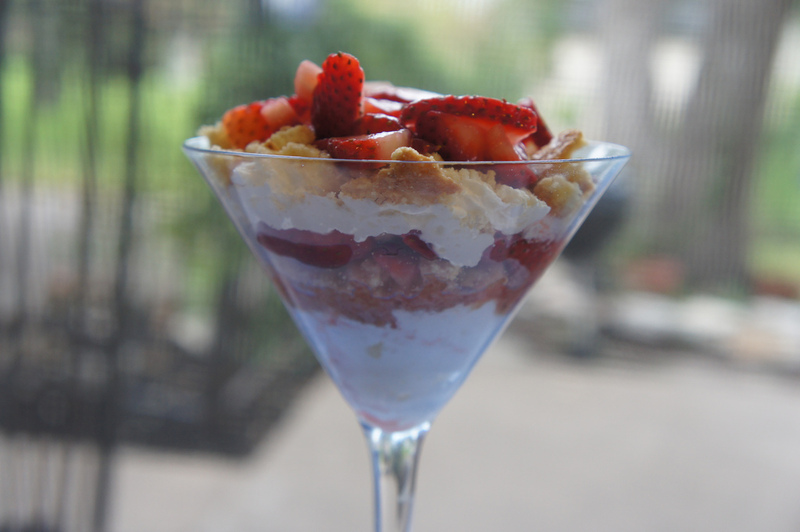 I love fruit based desserts they tend to be super easy to make and you can always rely on the natural sweetness of the fruits to bring a healthier alternative to usually empty calorie "bad" desserts. Here we toss the peaches in a bourbon mixture and slowly bake it down in the oven. 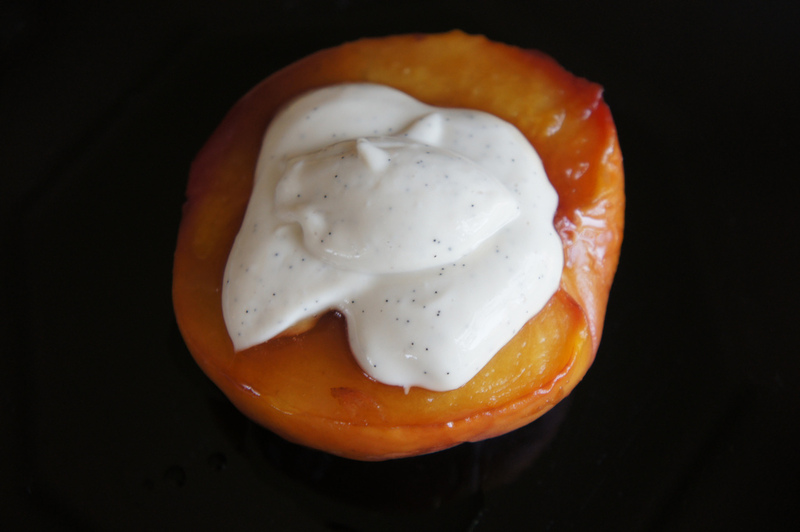 I topped the peaches with a greek yogurt that I mixed with a bit of honey and vanilla bean. Universally this was the favorite in the box this week. I can actually see this as an easy party dessert to make, it's not quite finger food, but surely something nice to serve for a summer occasion, I'll have to keep a note of it. On the tech side, I did get to try out my new light reflector, my kitchen has one bank of windows and a sliding glass door. Depending on when (time of day/sun position) I get to "picture time" for the food it can cast some pretty deep shadows. I have a two sided reflector (white/sunlight) and I tried some various light bounces to even everything out. I do still miss my SLR. (oh that reminds me I need to do a post on this camera of mine). Enjoy Summer and try not to pass out in the heat. Till next time! 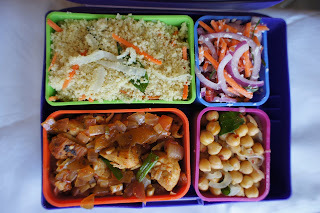 This week I saw a blog post in my google reader that took me into the rabbit hole of Sri Lanka cooking websites. Sri Lanka isn't one of the first countries I think of when I created my list of culinary countries to visit, heck outside of news reports of Sri Lanka I didn't know much about the place. From a brief study of the country it appears it inherits culinary traits from the Dutch and the Portuguese from colonial times, and Indian and Southeast Asia due to its proximity. I wish I was able to unearth more information about the culinary heritage. I only know what I've been able to find thru combing thru recipe stories and a brief blurb paragraph in wikipedia. What I know for sure is there's no shortage in the use of hot peppers, coconut and a large variety of spices and curry dishes which dominate the recipes that I ran across. For a bit of starch (and to difuse the heat), I found a recipe for spiced couscous. Although it called for dried chilies the actual final dish was not very hot at all. The main flavor contributor were the curry leaves. 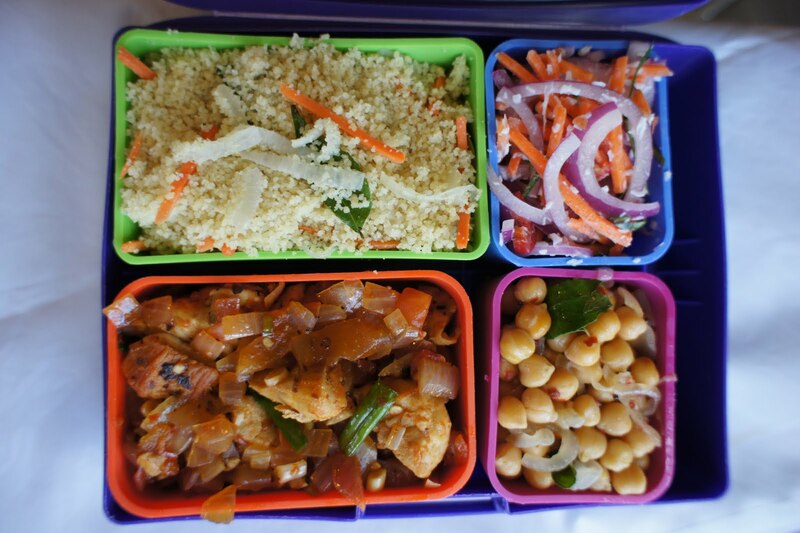 Three of the four dishes for this bento make use of curry leaves. This seemed to be a heavily used ingredient in Sri Lanka cooking. I've done a fair share of cooking Indian food and seldom run into the use of curry leaves. I mean I know it's used (I bought the fresh leaves from an Indian grocery store) I've just never had to use them in a dish. Definitely an interesting ingredient it has a very unique flavor. We use bay leaves to impart flavor in stews and soups but curry leaves are have a more prominent flavor and I don't believe have the same kind of application. I first fried up the leaves in some oil before adding the rest of the aromatics, this added to the chicken broth base and really gave the couscous some flavor. Kadala Thel Dala is a very nice chickpea dish. It too uses the curry leaf, which is first pan fried with mustard seeds and chilies. 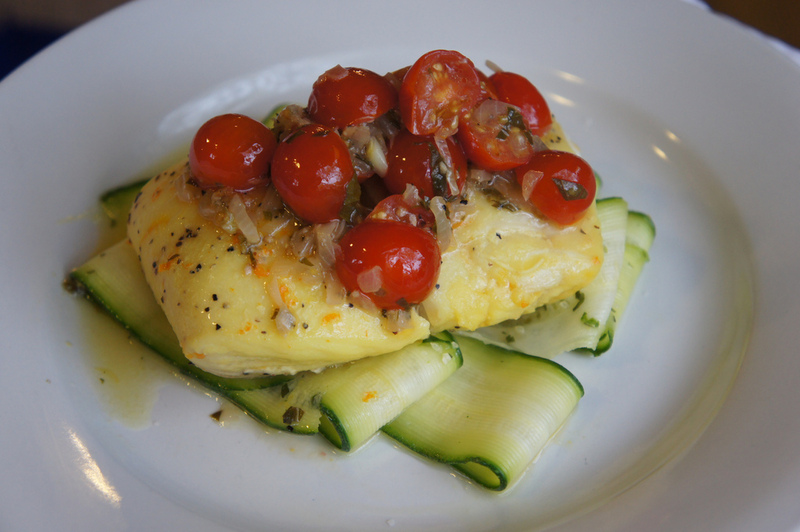 This was a really quick dish to put together. The mustard seeds gave a neat caviar popping texture. It's not quite as full flavored as a Garam Masala, but simple is better in this case. 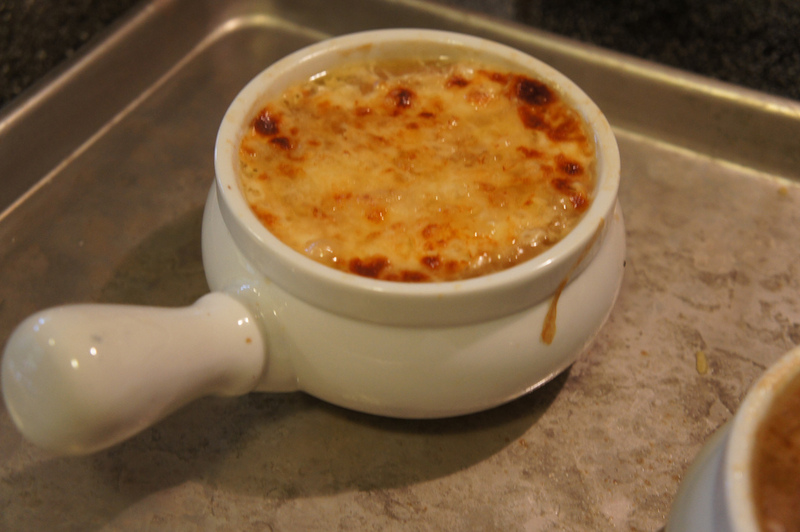 I think I would have preferred to let the onions actually carmelize some rather simply soften as was called for. And it could have used a strong dose of heat. Last we have a Carrot Sambol or carrot salad. Again lots of onions and curry leaves. There's a good amount of fresh chilies but since there was no heat applied you only get bursts of heat since no oil was released via a cooking process. The "dressing' is a bit of plain yogurt and lemon juice. 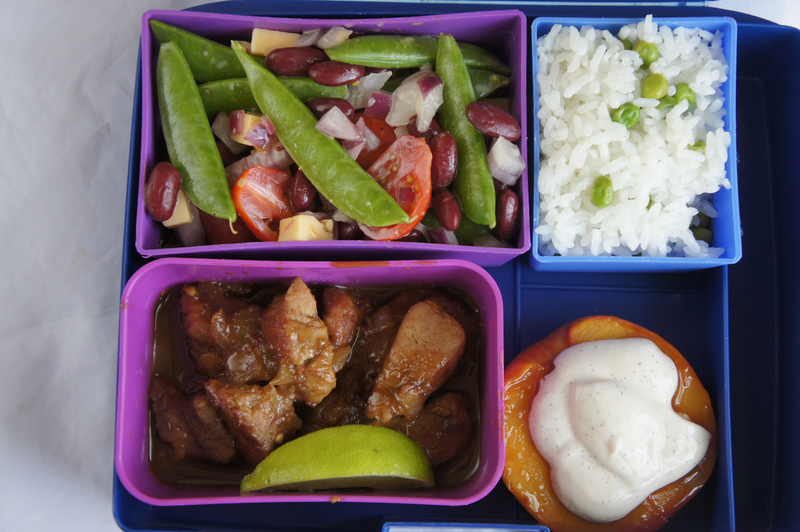 The dish is a nice fresh flavor and texture to lighten up the menu not to mention an attractive color splash to the bento. I originally forgot to add the coconut flakes and I'm very glad I remembered to add it. It changed the flavor of the dish dramatically. I really liked exploring Sri Lankan cuisine. I had a few of the dishes that I earmarked that used some more foreign ingredients but was afraid of introducing them without tasting the results myself. Dishes like Karavila Sambola, bitter gourd salad for example is made of an ingredient that I'm not the biggest fan of, but the cooking style might change my point of view I'm just not willing to roll the dice for my diners on something even I think twice about eating. Anyhow, thanks for dropping by! Ayubowan!